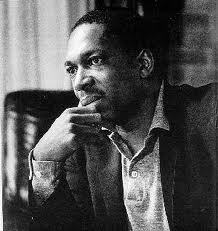 On this the 45th anniversary of the passing on to ancestry of the great John William Coltrane, my home radio station WPFW 89.3 FM (Pacifica Radio in the Washington, DC metro area, streaming live at www.wpfw.org) wisely chose to run Frank Kofsky’s November 1966 interview with Trane during today’s Freedom of Speech segment 3:00-4:00pm (go online and catch it in the station’s archives). 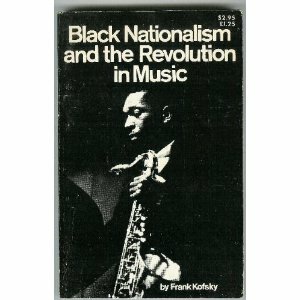 For those not familiar, Frank Kofsky was an unabashed left wing music critic who wrote the manifesto Black Music, White Business and was a major contributor to the Jazz magazine, the last bastion of left wing jazz reportage. If you read any of Kofsky’s writings you approached that interview knowing that Kofsky was fully in the bag for whatever Trane might say; completely in the Amen Corner as it were. Throughout the interview Kofsky continues to push the old canard that was widely afoot back then that John Coltrane and his peers and cohorts were somehow part of some “New Thing” making “New Music.” Again, the gentle and patient Trane – a man not at all given to profuse pronouncements – doesn’t really buy into what had largely become marketing tools for Impulse! Records, the magazines and writers, trickling down to the music-buying public. From this view those terms “New Thing” and “New Music” are as specious as the term avant garde. As Muhal Richard Abrams used to say at those old NJSO board meetings, “…how many decades are we going to be avant garde?…”, the sense being that the search for new vistas was by now a lifetime pursuit that ceased many moons ago to be so-called avant garde. The absolute summation of where John Coltrane was coming from and what he forever pursued was encapsulated in his simple response to Kofsky that “I want to be a force for good…” And that boys & girls is the essence of John William Coltrane. 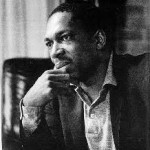 If you wish to purchase a copy of Frank Kofsky’s November 1966 interview with John Coltrane go online to www.pacificaradioarchives.org.